We’re really happy to celebrate the fourth anniversary of our initial launch to investors. We’ve achieved a lot in that time, and see a long and bright future for the business. We started by raising money for individual properties lying along the Crossrail route, with the idea that these properties would see strong capital growth. We were delighted to realise the sale of two of these early investments recently, netting gains of 43% and 27% to investors. As we developed our business, we were able to secure discounts on residential properties by buying in bulk. We evolved our strategy to focus on regional towns with strong commuter potential. We also introduced modest gearing to our model, giving investors leverage on their equity investment. 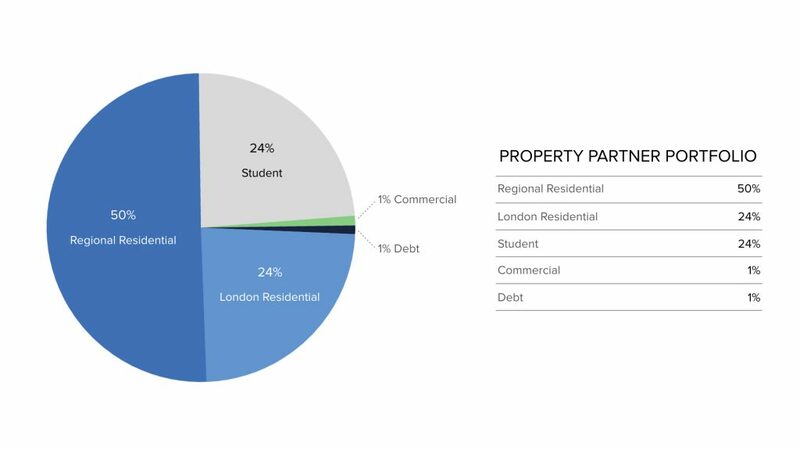 By the middle of 2017, as residential capital growth expectations waned, investors started to seek higher yield assets and we brought purpose built student accommodation assets to the platform, generating very strong demand. Last year, we completed our first commercial deal, and more recently we have diversified further by offering development loans. These proved to be popular with investors looking for higher returns, and last week we launched an Innovative Finance ISA allowing investors to maximise their returns (more about that later). The strong London-centric residential capital value growth of 2014-2016 has given way to a flat or slightly falling London residential market, with subdued capital growth expected elsewhere. We have adapted by bringing higher yield opportunities to our platform, the intention being to maintain strong overall returns to our investors. Our investment model offers investors choice and liquidity at the fractional individual property level, and thus differs radically from the other ways to access property investment, like REITs or direct investment. The value of the properties on our platform remained largely unchanged throughout 2018, as the rate of growth in UK property market slowed below the long-term average, in no small part due to Brexit related uncertainty. However, UK property and more specifically Property Partner property, continued to demonstrate great stability in the face of wider market uncertainty and has outperformed other more volatile assets which are more closely linked to business performance and changes in market sentiment. Including dividends, our annual total return of 4% is below the longer term annual average rate of 7.3%(1) delivered since Property Partner launched in January 2015, but it represents significant outperformance of the UK stock market: the FTSE all share index showed a total return of -9.5%(2), including the fall in share prices and dividends paid during 2018. REITs (Real Estate Investment Trust) listed on the London Stock exchange performed even worse with an average annual total return of -13%(3). As experienced property investors, we understand that the most appropriate and attractive investment opportunities depend on the economic environment and cycle and that we need to be adaptable to source great deals. In the current period of high uncertainty, we feel that a strongly opportunistic approach has merits and we are delighted our investors have committed nearly £2 million so far to our first Opportunistic Fund. This enables us to move quickly and conclude better deals with motivated sellers. We have also offered investment opportunities from some 3rd party property teams to our platform for the benefit of our investors. We frequently see attractive deals being financed by institutions or ultra high net worth investors. Due to our deep connections in the property market, we are sometimes able to bring a portion of these already underwritten deals to our investors, such as our recent property, Sherborne House. We’ll continue to bring a small number of these sorts of deals forward. 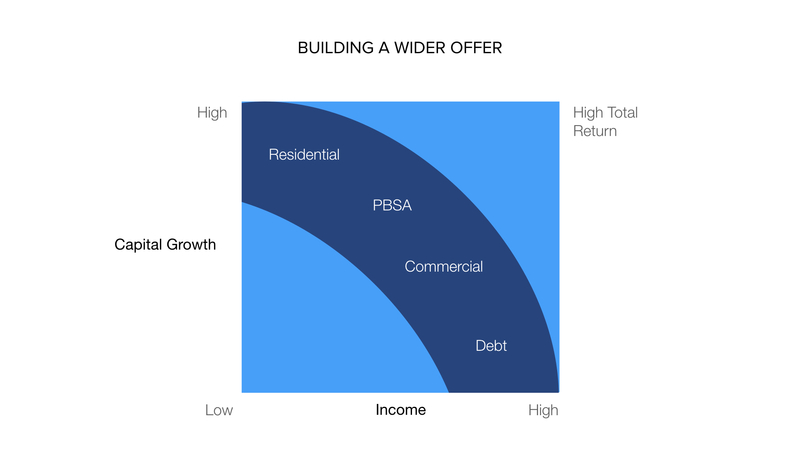 In this time of lower property value growth expectations, we also recognise that property-backed lending has a place in the investment mix as a product with the possibility of strong returns. Given our in house expertise in assessing residential property values, we’ve chosen to work initially with residential development opportunities where we’re confident of the final sale values. We have partnered with a specialty originator of residential development lending called Proseed, and successfully funded two development debt opportunities with 9-10% yields. We are planning to bring many more debt opportunities to the platform. The Innovative Finance ISA (IFISA) wrapper permits UK based investors to use their £20k individual ISA allowance to invest in our debt based products. Investing via the IFISA enables investors to reduce their tax liability on the proceeds of the investment. It’s also possible to transfer in existing ISA balances from other providers. I’m really excited to be able to offer IFISA accounts to our clients. Simply having this capability integrated into our platform opens the possibility for a lot more conversations about the type of service and the benefits we can offer. Watch this space. 2019 is set to be a busy year for Property Partner. We will continue to improve, for example launching a new dashboard, and bring new and exciting investment opportunities to platform. Here’s to the next 4 years, and thank you for choosing Property Partner. Please feel free to email me at ceo@propertypartner.co with any thoughts and I’ll endeavour to respond to all messages. Important notice: Capital at risk. The value of your investment can go down as well as up. The Financial Services Compensation Scheme (FSCS) protects the cash held in your Property Partner account, however the investments that you make through Property Partner are not protected by the FSCS in the event that you do not receive back the amount that you have invested. Forecasts are not a reliable indicator of future performance. Gross rent, dividends and capital growth may be lower than estimated. 5 yearly exit protection or exit on platform subject to price & demand. Property Partner does not provide tax or investment advice and any general information is provided to help you make your own informed decisions. Customers are advised to obtain appropriate tax or investment advice where necessary. Before investing please read Key Risks. Financial promotion by London House Exchange Limited (8820870); authorised and regulated by the Financial Conduct Authority (No. 613499). 1. Since the launch of the platform in January 2015, properties have, after fees and corporate taxation, delivered an estimated total return of 7.3% p.a. up to 30 September 2018 ; including 4.0% net rental income (dividends) and 3.2% capital value growth. These returns are calculated six monthly and (i) with reference to the average dividend yields and price movements of properties with at least 3 months trading history on the Resale Market, (ii) spreading over 5 years any purchase discount to the RICS valuation, (iii) amortising property acquisition costs over 10 years, (iv) assuming the property remains tenanted, (v) assuming that investments are held for the long term, to the extent that the annualised impact of the Property Partner initial transaction fee becomes immaterial, and (vi) weighting each property’s performance according to their initial funding value. Past performance is not a reliable indicator of future performance.